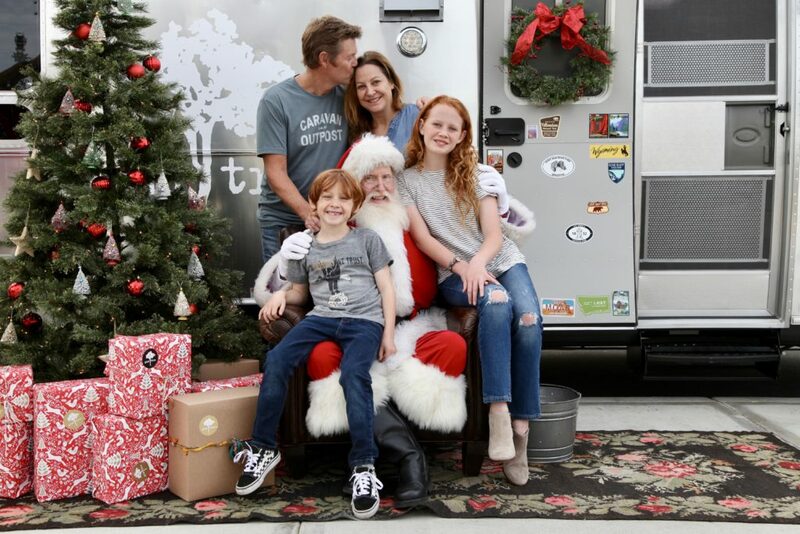 1st Annual Airstream Santa Photos a Success! Thank you so much to everyone who came down to our First Annual Airstream Santa Photos at the Manhattan Beach Farmer’s Market! We had such a blast, the set up looked adorable, Anne Marie of AM Photo was amazing! Huge thank you to the Roundhouse Aquarium volunteers too! Because of all who came out we raised $2340 for the Roundhouse Aquarium Teaching Center! If you haven’t been to the Roundhouse lately you should get down there to check it out. It just underwent an incredible renovation. It’s a beloved community icon that’s now a world class aquarium as well. All of the money we raised through Santa photos will go toward their teaching programs for under served kids in LA, and we think that’s pretty great. Think Globally, Shop and Eat Locally! This entry was posted in Gum Tree Shop by Lori. Downtown Manhattan Beach Sidewalk Sale Starts Now! Winter Sale Starts Now…50% off! It’s the Ultimate Gum Tree Gift Guide! 10th Annual HBEF Santa Photos a Success! ©2019 Gum Tree — All rights reserved. Site by DLI.